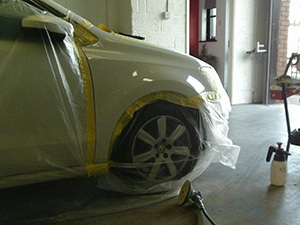 Here at Passfield Panel & Paint we have a team of professionally trained technicians who are experienced in restoring and refurbishing vehicle body damage. 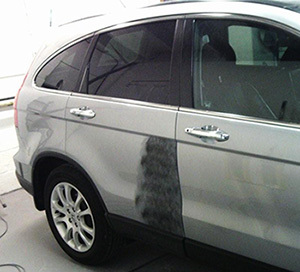 From small bumper scratches to complete panel restoration, no job is too big or too small. Even the most minor of cosmetic damage to your car such as bumper scuffs, dents, scratches or stone chips can significantly reduce the value of your vehicle. From our garage in Dunstable we have the know how to ensure your car leaves our garage looking as good as new. If you have been involved in a road traffic accident our team of experts are trained to use the latest technology and equipment to enable us to completely repair and restore your damaged vehicle. Call us today or drop by our garage in Dunstable to receive a full quote. From our fully equipped workshop in Dunstable our specialist car paint spray experts utilise our specialised booth and clean room to provide your vehicle with a completely immaculate and high quality paint spray finish. Whether you require a full body re-spray or just a single panel, using our very own mixing facilities we can assure you a like for like colour match. You will be safe in the knowledge that your car will return to you in the very best condition. We have over 22 years experience in the industry providing us with the know how to get restore your car to a good as new condition. From paintless dent removal to a full vehicle respray then our skilled technicians are here to help and are experts in the trade. We also provide a high quality vehicle polishing service. For further information regarding our paint spray and repair service in Dunstable feel free to contact us and one of our team members will be happy to assist with your enquiry. 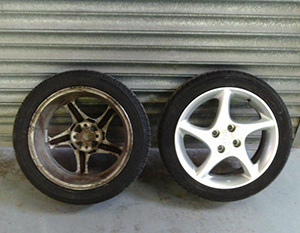 For complete alloy wheel refurbishment in the Dunstable area, our skilled refurbish team here at Passfield Panel & Paint are able to return your alloy wheels to their original state. Alloy wheel damage is often caused by kerbing, by utilising the latest technology we have at our garage we can easily remove any scrape or scuff marks. To ensure every job we complete provides customers with absolute satisfaction we use a series of processes within our tight knit team to allow us to consistently deliver an unparalleled level of service.